"Santa barbara bride does incredible hair and makeup"
"...They arrived on time, they were super fun, and when they were finished we looked picture-perfect and photo ready. Our wedding pics turned out amazing and I'm glad that we hired a team of pros to come in and get the job done right. I would highly recommend them to anyone getting married in the Santa Barbara area." Please complete the form below to request a quote for services or to begin your wedding day timeline and contract. Please submit the form below to receive a custom quote for services, and a wedding day timeline will be sent to you within 48 hours. What time does your ceremony begin, and where is the venue? What time do you want your beauty services to be completed, and where will you receive your services? Our team of bridal hair stylists and wedding makeup artists are dedicated to making each guest look and feel their most absolute best. We offer free hair and makeup consultations, we will create a beauty timeline for you, and we will transform you and your bridal party right before your very eyes! Allison and her team we incredible!! I had a large bridal party, and I can genuinely say that every single person came out out glowing, absolutely gorgeous. Her team came on time (early), calmed everyone's nerves, were open to everyone's preferences, and really helped start the wedding day off on the best foot possible! I highly highly highly recommend Santa Barbara Brides for your next wedding or special event!! 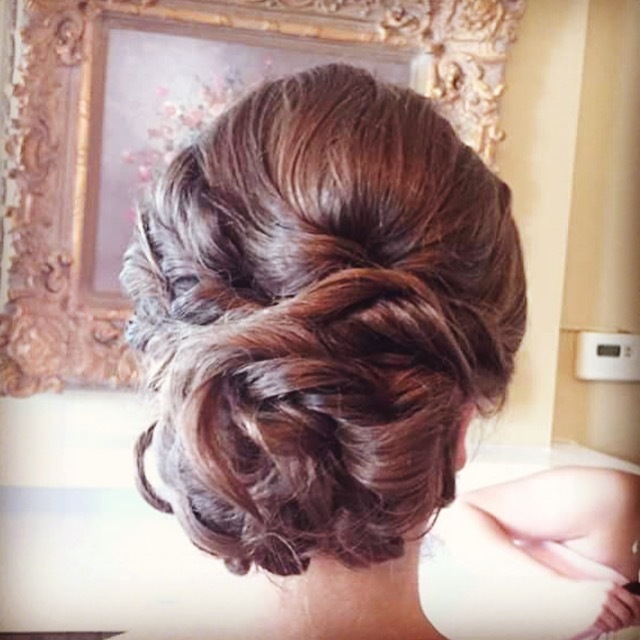 "My husband and I were recently in Santa Barbara for a wedding, and Santa Barbara Bride did my hair and makeup. From the very beginning of the process, the logistics were handled both efficiently and with a wonderful kindness. We had experienced a horrible day of travel (delays, lost baggage, etc.) and my stylist was such a breath of fresh air. She made me feel incredibly beautiful, and I had such a fun time while she was getting me ready. Great conversation with a truly outstanding artist. I couldn't recommend them more!" Allison was amazing on my big day. I came up to Santa Barbara strictly for my wedding and was so nervous about picking someone without meeting them, but I'm so grateful I chose her. My hair was no easy task, due to being by the beach, with the humidity, it didn't want to cooperate but she stayed past our appointment time and recurled my hair as many times as she had to. I can't thank her enough for making my hair look exactly like I had imagined it! She puts so much dedication and love into what she does and you can really tell. Beyond amazing experience! Allison and her team at Santa Barbara Bride were WONDERFUL to work with. I had a wedding party of 8 girls + my mother (and myself, bride). Allison and her team listened to the individual requests and made every person look and feel beautiful. I am so thankful to have worked with them and would hire them again in a heartbeat! "I can't thank the SB Bride team enough. I used them for my wedding, and they truly went out of their way to make my day extra special. From the beginning Alison was very accommodating and patient with me. I changed the services about 3-4 times before the wedding and she was very polite every time she had to update the timeline. The whole team arrived on time and helped keep us on schedule. Not only was the service great but they did an awesome job! I was beyond impressed with everyone's hair and make up. It turned out exactly how I pictured it. I would absolutely hire them again! If you are looking for reliable, friendly and an affordable quality crew, this is the team for you! "I was a wedding guest and had hair and makeup done. Santa Barbara Bride was absolutely amazing - great company, and true artists at work. It was such a wonderful experience and I felt absolutely beautiful." "Allison and her team did a wonderful job on my day. All my girls looked absolutely beautiful with airbrush make up, and the fact that they use airbrush is one reason why I chose SB Bride. The makeup stayed on perfectly throughout the whole night, and our hair was phenomenal. Beckie is one of the most talented stylists at up-dos I have ever seen! Overall great experience and would highly recommend!" 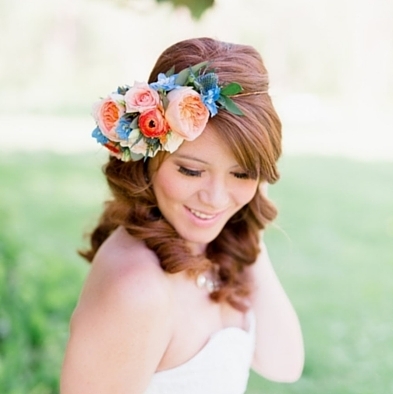 "Santa Barbara Bride is amazing! They really listened to what I was looking for, took their time to go over all the options, clearly put a lot of prep work in before the trial, and I felt completely comfortable about saying what worked and what didn't. They also just fit right in with my friends and family while getting ready and made me feel calm and relaxed, and my make up looked so awesome in the PhotoBooth photos all night long. Thank you!!" 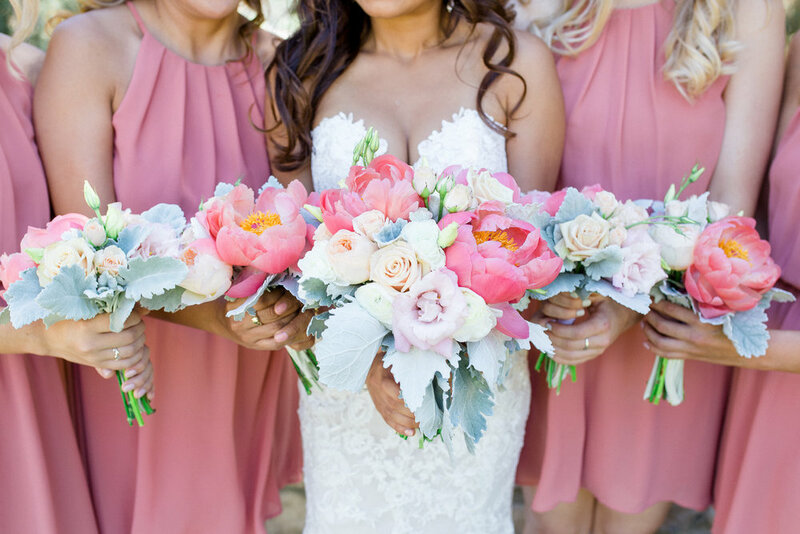 "I was so thrilled with how everything turned out with Santa Barbara Bride! Allison is an amazing coordinator and makeup artist, and so much fun to work with. She made the entire process so seamless and easy. You will be so happy you booked your wedding hair and makeup with this company, they will have you looking absolutely stunning on your big day!" Proudly Serving all of Santa Barbara and Ventura County. Santa Barbara Bride proudly services the following towns and surrounding areas, including Lompoc, Santa Ynez, Los Olivos, Goleta, Buellton, Solvang, Santa Barbara, Montecito, Carpinteria, Summerland, Ventura, Ojai, Oxnard, Port Hueneme, Camarillo, Thousand Oaks, Westlake Village, Valencia, Piru, Simi Valley, Moorpark, Malibu and Newbury Park.